Preheat oven to 350°. 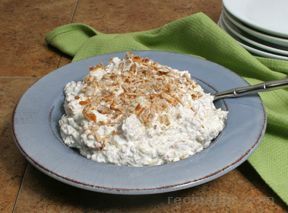 Combine butter, brown sugar and crushed pretzels in bowl. Mix well. Press onto bottom of 9x13 baking dish. Bake for 10 minutes. Cool. Empty gelatin into medium bowl and add boiling water, stirring until dissolved. Add sugar to cranberries and mix well. Add cranberries to gelatin. Chill until partially set. 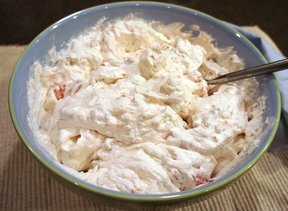 Put softened cream cheese in a medium bowl; fold in whipped topping. Spread over chilled baked crust. Spread cranberry/gelatin mixture over cream cheese layer. Chill overnight. Cut into squares. Yield 12 servings. Keeps well. A 16 oz. 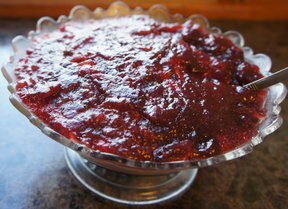 whole berry cranberry sauce may be used instead of fresh.